Nathan is the proud owner of our “Checkertail” T-6 and occasionally performs airshow routines and takes passengers up for rides. Nathan is passionate about aviation, a highly experienced pilot with a deep background in competition aerobatics. Nathan has logged over 8,000 hours of flight time in over 50 years of flying. He is very knowledgeable about and skilled in aircraft construction and maintenance, having designed and built his own aircraft and maintained a wide variety of different aircraft. 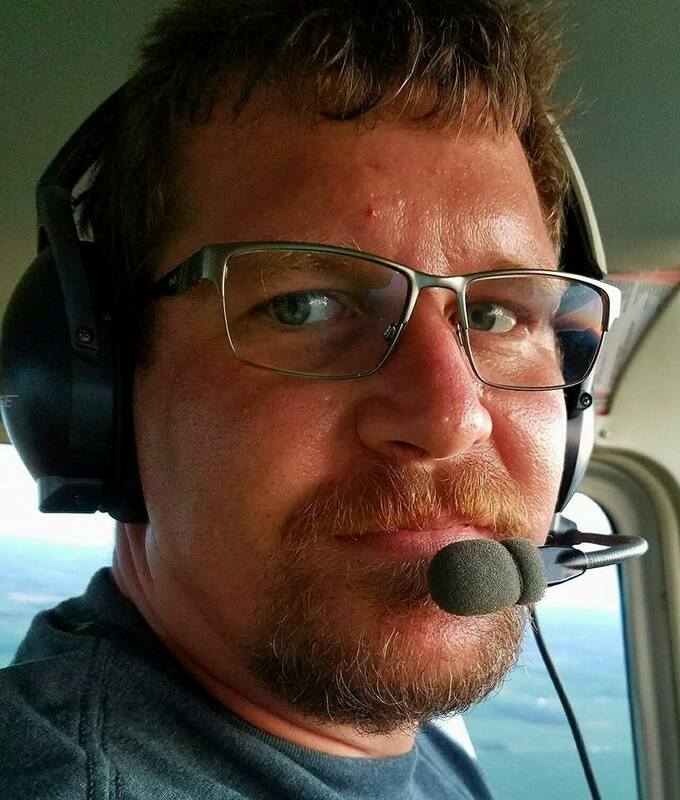 In addition to our “Checkertail T-6”, Nathan owns and flies a Piper Aerostar, Piper Cheyenne 400, and American Champion Citabria, among others. 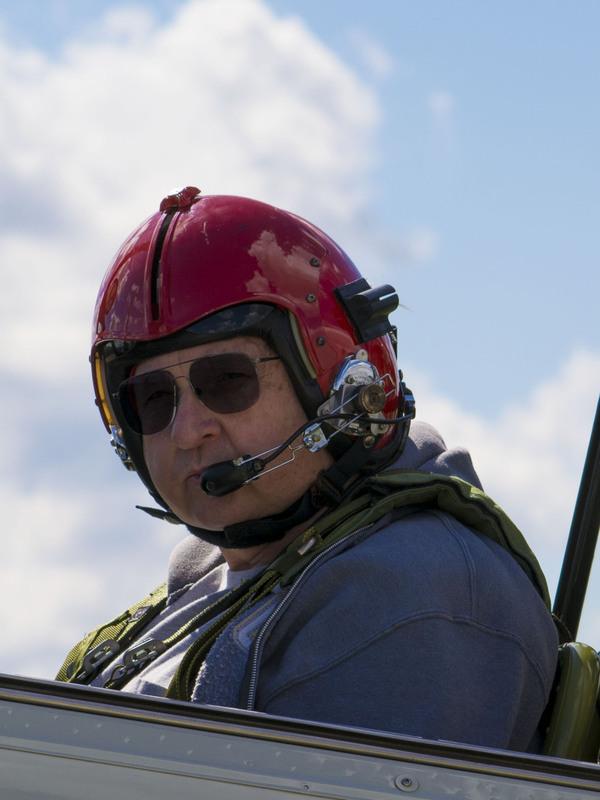 In the past, he owned and flew over 20 airplanes, including a Beech Baron 55, a Folland Gnat jet, and of course the “Checkertail” P-51 Mustang. Laura is our primary pilot for rides and airshow performances. She is an FAA Certified Flight Instructor, Flight Instructor for Instruments, Multi-Engine Flight Instructor and Commercial Pilot. Laura has been flying airplanes for over 25 years and has logged more than 9,000 hours in the air. She has been flying our “Checkertail” T-6 Texan since 2008, having logged well over 300 flying hours in the airplane and taken over 175 passengers for a T-6 flight. Laura has logged substantial flight time in other World War II Warbirds as well, including the venerable P-51 Mustang. For Laura, aviation is a lifestyle, not merely a job or a hobby. 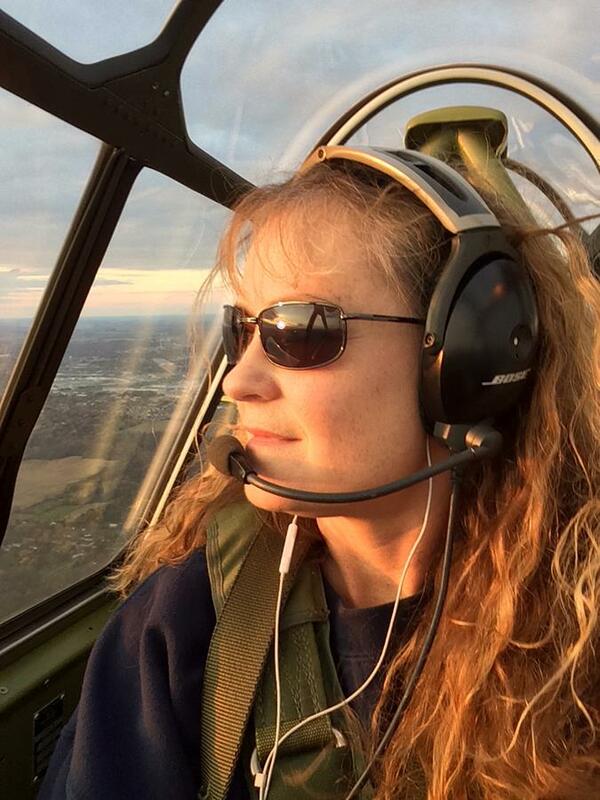 In addition to flying our T-6, Laura flies professionally for corporate clients and provides instruction for new pilots and those seeking advanced licenses. Along with her husband Steve, Laura runs the Flight Training Centers of Indiana, with locations in Kokomo, Sheridan and Westfield, Indiana. In her time off from flying airplanes professionally, Laura flies airplanes for personal enjoyment. She has a special fondness for nostalgic aviation. Laura is personally passionate about World War II aviation, while greatly enjoying flying “light tailwheel” airplanes like the Piper Cub, American Champion Citabria and Champ and many others. Steve handles the “back of the house” for us. He works with event organizers to coordinate their airshows and our appearances within them. 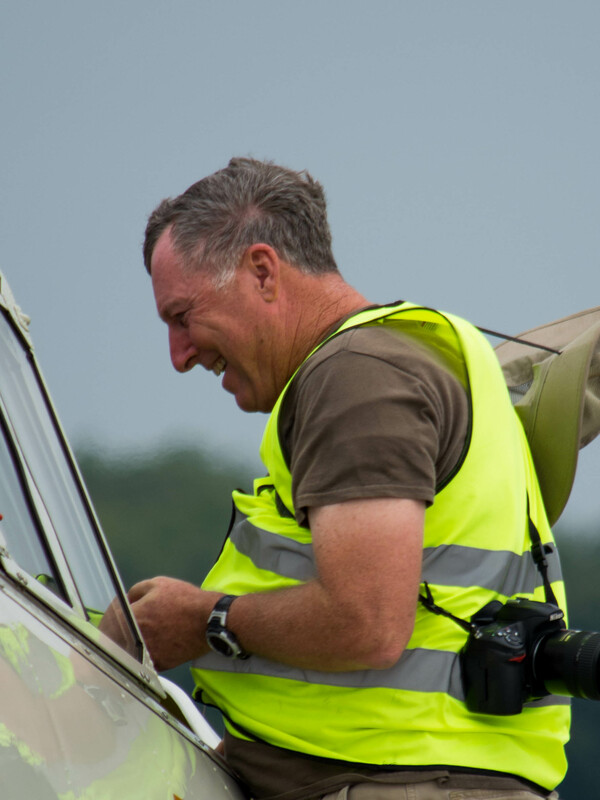 Steve is very experienced aviation event coordination and planning. He has provided Air Boss and Air Show Planning services for local shows including the Kokomo Airshow, Sheridan Wheels and Wings, Glenndale Days and the Warsaw Airshow, among others. Steve’s many contacts within the aviation community allow us to bring any of a number of other aircraft and acts to your event along with our own. We won’t list them here. If you would like a particular airplane at your event along with ours and have the budget, Steve most likely has the contacts to make it happen. Steve is a professional pilot as well, having logged over 12,000 hours of flight time. 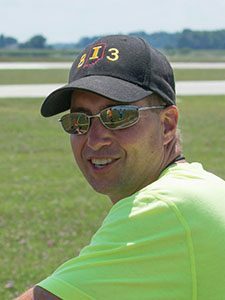 He is an FAA Certified Flight Instructor, Flight Instructor for Instruments and Multi-Engine Instructor. Along with wife Laura, he runs the Flight Training Centers of Indiana. He actively puts his CFI and CFII to use, providing instruction for Flight Training Centers’ students. When he is not flying or working on events, Steve is a successful Information Technology consultant. A.E. heads up safety and logistics operations for us. Pop-up tents, chairs, banners, fans, generators, water, golf carts… A.E. takes care of everything we need to make for a successful appearance at an event. A.E. 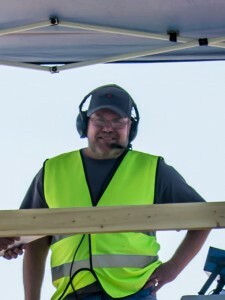 often puts his safety expertise to work by offering his services as a Safety Officer at airshow events and providing other safety and logistical assistance to event organizers. A.E. is a Private Pilot, owning and flying a Cherokee 180 among other airplanes. Jon Tharpe handles ground and ramp operations for our T-6 at events. Jon works with ramp staff to determine parking locations, manages rider and event attendee flow to and from the aircraft, provides pre-flight briefings to each rider, loads them into the airplane and unloads them. Jon works with A.E. (above) to provide logistical and safety support both to our own operation and to events as a whole. Justin is another member of our ground crew, handling ground and ramp operations for our aircraft and riders. He also assists A.E. in providing safety and logistical support to event organizers. Justin is a Sport Pilot, Piper Cub enthusiast and owner. Justin works in several different areas of our organization. 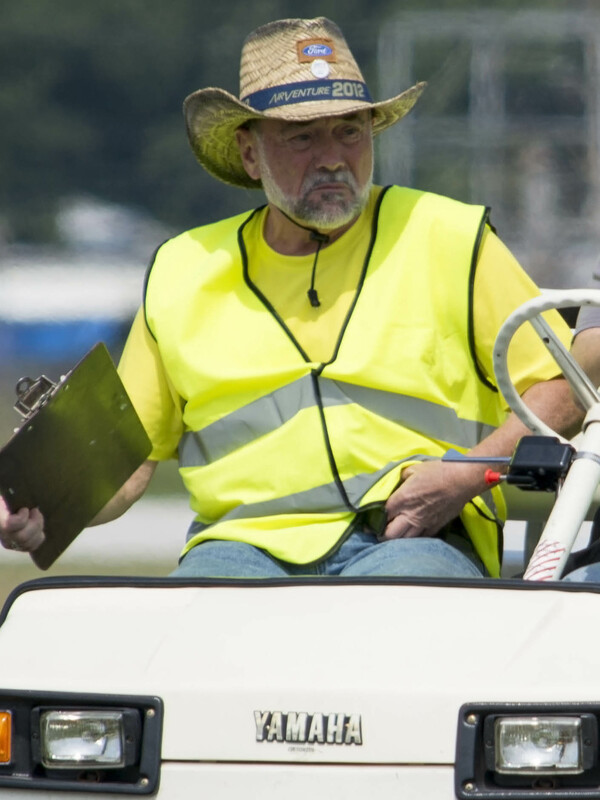 He manages ride sales and scheduling at our events, coordinates the ground crew, and works with event organizers to smoothly integrate the airplane into event ground operations. Justin also provides technology support, managing this website and our social media presence, and handles the technology behind ride sales and on-board video. Justin is a Private Pilot.